For your convenience, I've also uploaded my slides to my slideshare account. If you are wondering when the jayDom library is going to be released: I'm trying to get an alpha version out in < 2 weeks. Meanwhile feel free to ask any questions using the comment function of the blog. is all this code available, and is there a jquery helper / component for php in the works? Just wanted to let you know that I'm keeping an eye out for jayDom and I can't wait to dig in deep. Thanks Felix. When this improvement will be integrate to cake core ? brian: What code? There was lots of code in those slides ; ). Jason: I'm working hard on fixing some left over IE issues and getting unit test coverage where I want it to be. Nao: What improvements? 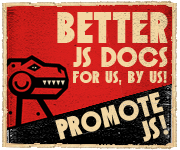 Are you talking about the JS include mechanism? About the metadata plugin: Do you mean using that instead of setJson? Thanks for that Felix, looks very nice and I cannot wait to get my grubby little fingers on it! CakePHP is really growing into a mature & powerful framework with full JS/PHP integration! This presentation at CakeFest was excellent. I really enjoyed hearing your ideas. You really have a gift for sharing knowledge. Can't wait to hear more! Are you planning to release jayDom soon? Guy, you're crazy, Those slides are so funny. But finally: you're right. Thanks for sharing. Martin: Yeah, working hard on pushing out an alpha release soon! Martin: Yeah, I mostly have to finish debuggable.com as a plattform to publish the code and documentation. I am really looking forward to trying this out. Hope to see it released soon.